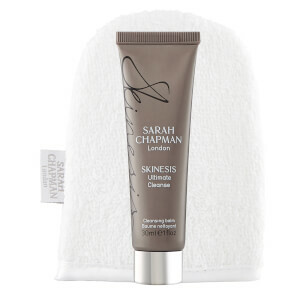 Nourish and hydrate dry, tired hands with the Skinesis Overnight Hand and Nail Treatment from Sarah Chapman. Fortified with a blend of eight antioxidant-rich oils, including argan, jojoba, chia seed and grapeseed, the powerful elixir protects and replenishes hands whilst you sleep to reveal softer, smoother skin. Ideal for all skin types, the award-winning treatment is infused with firming Collageneer® and Volufiline™ to restore a youthful-looking, plumper appearance and an even tone. 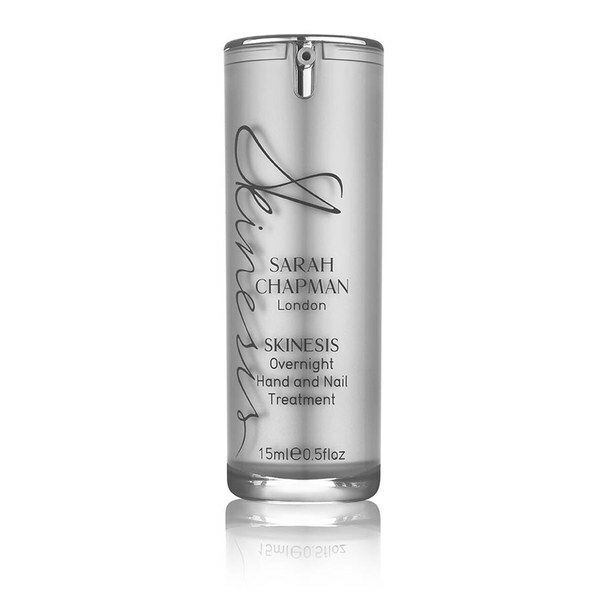 Conditions cuticles and strengthens nails, whilst delivering a subtle floral fragrance of jasmine and neroli pure essential oils. E.N. Massage 1 pump into your hands and nails every night. For day time use apply 1 pump and smooth onto the hands and nails. Key Actives: Renovage™, Volufiline™, Collageneer®, Synovea™-HR, vitamin A Palmitate, Dictyopteris Oil, Abyssinian Oil, Baobab Oil, Chia Seed Oil, Argan Oil, Jojoba Oil, Grapeseed Oil, Sea Buckthorn Oil, Isoquercetin, vitamin C, Jasmine, Rose, Tuberose, Frangipani.